You have decided on what dimensions your new fish tank is going to be. You have also planned on where to place it, to add that aesthetic touch to the room. Maybe you even had an idea which brand and model you want. But did you know that there are two materials being used for fish tanks? They are acrylic and glass. So before you rush out to get your fish tank, you should check out the differences between them. Acrylic is strong. It might not seem like it, but it is actually stronger than the typical glass used for fish tanks. To support the same volume of water, acrylic does not need to be as thick as glass does. It is much more difficult to scratch glass, usually only possible if you do it on purpose with relatively hard objects. Whereas acrylic is very easily scratched, usually by gravel, algae scrubbers, or even the tank inhabitants. Acrylic fish tanks are mostly more costly than their glass counterparts, since acrylic is stronger than glass. This is also partly due to higher shipping costs, as acrylic scratches so easily. Glass is denser, thus it is much heavier than acrylic. Although a fish tank’s weight is made up mostly by its water and the other things in it, a lighter fish tank is much easier to bring home and to relocate. A lighter fish tank also puts lesser strain on its supporting stand or cabinet. Glass has a higher index of refraction than water, thus causing your views to be slightly distorted. Position of your fishes seems inaccurate and the colors seems off. Whereas acrylic has an index of refraction which is close to water’s, which means you can view your fishes with the least distortion. This difference is very apparent if you do a side-by-side comparison. Unlikely to ever happen, and i hope it never do for both you and I. As when glass breaks due to sharp impacts, it will shatter! This can cause some serious injuries and damage. Acrylic is much stronger, is much harder to break, and will not shatter the way glass do. Acrylic will turn yellow over time. This is due to a chemical reaction with light and is unavoidable. Fish-keeping is not only about having beautiful fishes. The fish tank itself has to look good and fit well together with your furnitures. Acrylic allows manufacturers to bend and mold them into appealing shapes. Examples are curved tank corners and curved side walls. As for glass, it is brittle and difficult to bend. And when bent, it makes objects on the other side of the glass look much bigger or smaller. 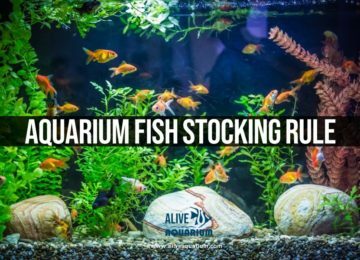 I hope this article has helped you, in understanding more about their differences, and in selecting a fish tank that truly suits your needs!